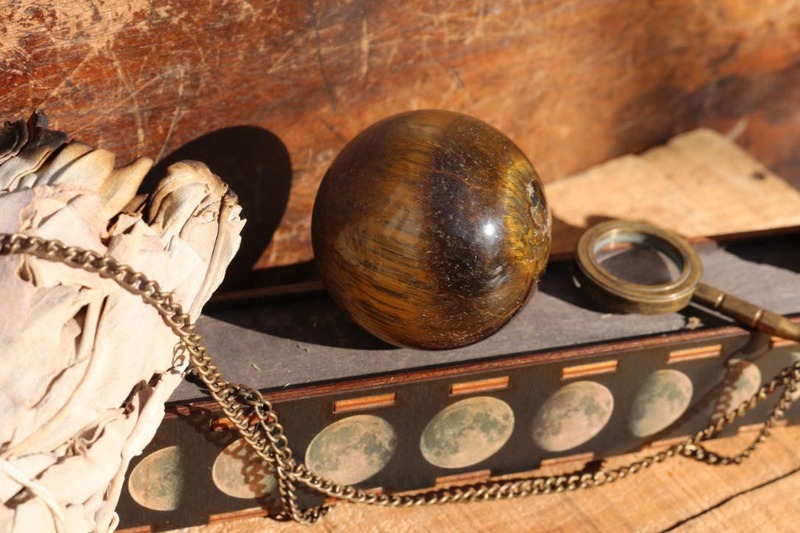 A fully polished Tiger's Eye Sphere from India. 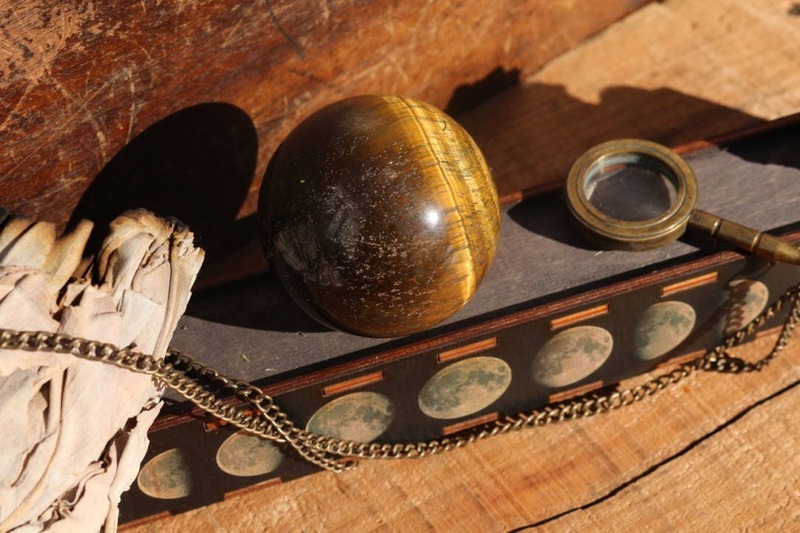 Brilliant alternating bands of gold, yellow and earthy brown colors shimmer throughout. Beautiful! 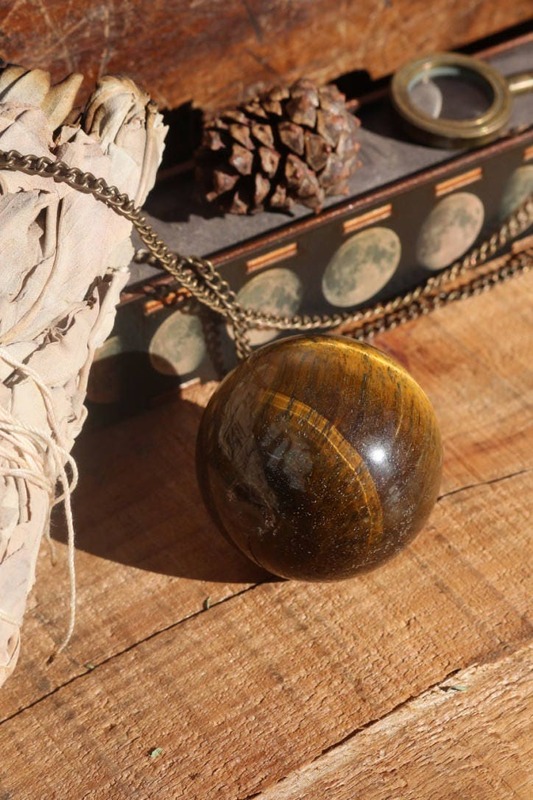 Tiger's Eye is a powerful stone that aids in harmony and balance and helps to release fear and anxiety. It stimulates taking action, and helps you to make decisions with discernment and understanding, and unclouded by your emotions. 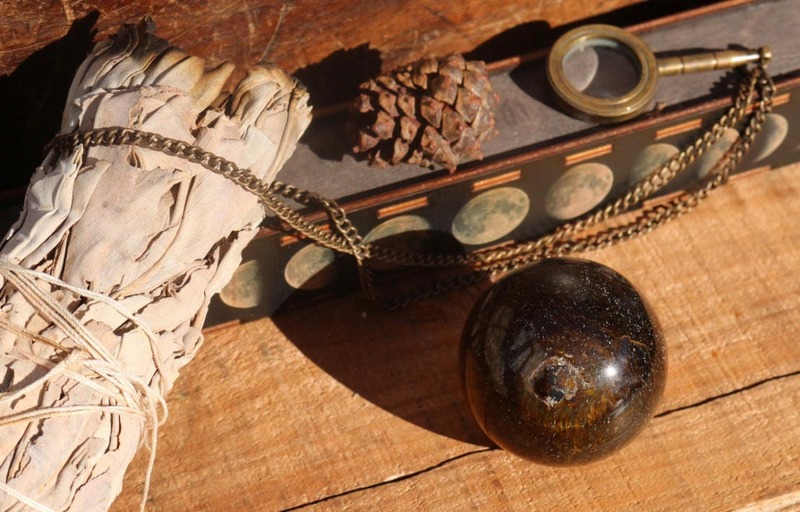 Traditionally it was carried as an amulet against curses or ill-wishing and is known to give you courage, self-confidence, and strength of will. Lions and Tigers and Courage are synonymous! 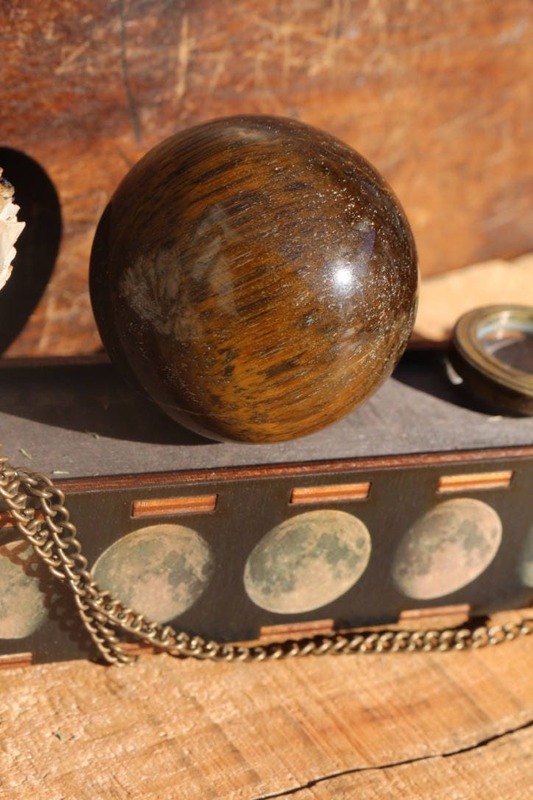 Tiger's Eye is associated with the Crown, Third Eye and Solar Plexus Chakras.